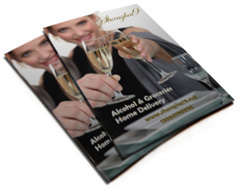 We deliver imported alcohol and beverages directly to your door anywhere in China. Purchase online and pay Cash-on-Delivery, by AliPay, PayPal or by bank transfer. Since 2009 Shanghai9 has earned a leading position in the alcohol and beverage market in China. We pride ourselves not only on our large selection of products, but also on providing great service, convenience and value for money for our customers. We are continuously extending our product line-up, especially with imported beers and other hard to get spirits or wines. If you have a requests for a particular alcohol or mixer not on the website please contact us and let us know. We will do our very best to find it for you! 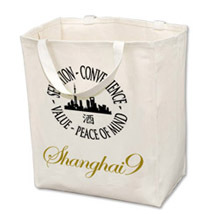 Our name, Shanghai9, or "Shàng Hǎi Jiǔ" (上海酒) is a play on the number nine "Jiǔ" (九) and the word for wine or alcohol "Jiǔ" (酒). We offer same day delivery on most products in downtown Shanghai (see map), for a flat rate of CN¥20 or FREE for orders over CN¥500. Specific delivery times can be requested in Shanghai. For the rest of China we have a great relationship with various freight companies to other provinces, charged according to distance and the total weight of your order. 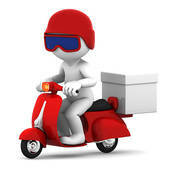 We accept Cash-on-Delivery for orders (excluding full cases of beer/water/soft drinks) in all major cities China-wide. For orders Shanghai-wide including outer districts (i.e. MinHang, QingPu, JiaDing, BaoShan etc.) and the downtown areas of SuZhou, HangZhou, WuXi and NanTong, we accept COD for all orders without exception. We have priced our products as competitively as possible and believe we offer great value for money to our customers. If you see another company offering a lower price on a product we sell we encourage you to contact us. If possible we will match or beat our competitor’s price, however sometimes differences in price will exist because our competitor has not imported officially through Chinese customs and the full amount of tax/duty paid. Our competitor may also be selling fake liquor. All the products we sell are imported into China legally and pass through Chinese customs. 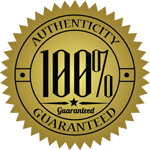 We guarantee all products we sell are genuine. If any product we sold is found not to be genuine, we will refund the customer the value of the product multiplied by 3. Read more. We are a fully licensed reseller of alcoholic beverages and imported food in China, sales tax is included in the all the prices listed on this site, and customers may request a government tax receipt (Fāpiào) for their company during the checkout process. Our Ministry of Industry and Information Technology Internet Content Provider (ICP) number is 12038606. This website is hosted in a data center in Shanghai in order to give users in China a smooth and responsive shopping experience. By creating an account when you checkout you will automatically start accumulating reward points which can be used to discount future purchases. If you regularly purchase spirits, wine, beer or mineral water we strongly recommend taking advantage of this, you will be surprised how quickly these frequent flyer miles will add up! It is completely possible on our site to make an entire purchase using only your reward points (if your order qualifies for free shipping). You can earn points by signing-up (we'll give you CN¥15), subscribing to our newsletter (CN¥15), by inviting friends (CN¥15), or simply by buying stuff (¥1 for every ¥20 you spend) so tell everyone you know about us! 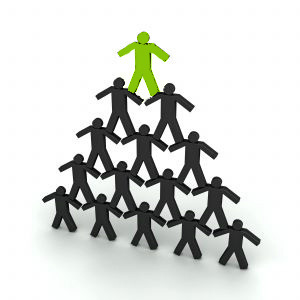 Read more about our loyalty program. Each month we will discount a number of items and run promotional flyers on our home page, our Facebook page, and in our specials section. We add new products to our website on a regular basis, which will be featured on our home page, and under our new products category. In addition we select a beer, a wine and a whiskey each month for special review and a discounted price or multi-bottle offering (e.g. buy 1 get 1). You can keep abreast of all these great deals by subscribing to our newsletter (put your email in the box on the home page), and each month the newsletter contains a unique time-limited coupon code for an additional 5% discount - just our way of saying thank you for being such a great customer.